November 6, 2018 — More than two dozen U.S. Congress members have urged the U.S. 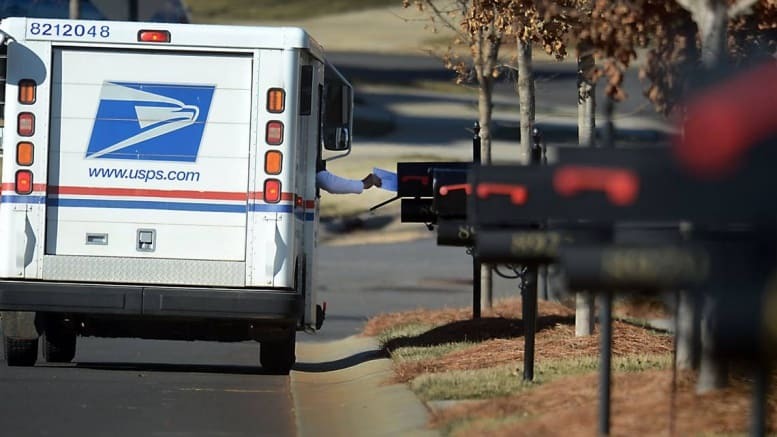 Postal Service to “strongly consider” implementing climate-control units in all their mail trucks after a postal carrier died in Woodland Hills over the summer from overheating. U.S. Rep. Tony Cardenas, D- Panorama City, spearheaded the call “for the safety of all mail carriers” in an Oct. 26 letter to Postmaster General and Chief Executive Officer Megan J. Brennan. About 30 other Congress members also signed the letter. The call was made less than a month after the Los Angeles County Department of Medical Examiner-Coroner announced that Peggy Frank, a 63-year-old Postal Service carrier who was found unresponsive in her non-air-conditioned mail truck on July 6, died of hyperthermia or abnormally high body temperature caused by a failure of the body to deal with the heat coming from the environment. Temperatures reached 117 degrees in Woodland Hills that day. SIGN UP FOR OUR POSTAL NEWS BLAST! Sounds good, but USPS is too cheap to repair HVAC in buildings do you think they will maintain climate control in vehicles? Why does anyone ever have to die? It is common sense, medical fact that a human body can degydrate in certain high temps even while drinking as mych water as is pissible and still make it back to their facility by the designated time. Even if the USPS got air conditioning in vehicles, The carriers who need them the most would be the last to get them.I see management with new vehicles, maintenance with new trucks while the rank and file sweat away in the LLV toaster oven. Don’t worry though, The little fan is there to blow hot air at you all day. Just drink water and hope you can hold your pee for 5 hours. Those trucks needs to be updated. I had rather drive my POV any day of the week. They don’t give a damn about carriers, seriously? It may be a 120 degree’s here in the desert of northern Arizona. Then add an extra 10 degree delivery mail in a tin can truck. Then your told no additional breaks & be back in time or you’ll be written up. Cancel deliveries on hot days until new air conditioned mail trucks are available. Work on getting new trucks to these areas of the country first. So they could only get 32 members to sign? Extreme Weather? Is your facility operating as usual? You can access the site where you can learn about your career development, view your benefits, change your password, access PostalEASE and more. Great discounts for Postal employees.